Crikey, that was quite a weekend. Probably one of our best. Thanks to all who came, and to all of our superstar volunteers. DVD BANG After three days of feverish construction, today sees the arrival of DVD Bang, the Korean movie lounge at the Custard Factory. Open for screenings from 8am-2am from now until Sunday; book a slot, choose from over 30 Korean features or shorts, sit back and relax with a Korean drink and snacks. SWIPESIDE Today also sees our Swipeside strand with Birmingham City University kick off. We’ve been working with a team of students to curate and deliver the strand, focusing on student, emerging, and visually distinctive work (mostly animation). Tonight sees a screening and talk by Tokyo-based animation label Calf. We are also excited to have Priit Pärn, one of the most adventurous and influential animators on the international scene, talk tomorrow evening and show a selection of his films. All Swipeside events are free for students with a valid ID card. Full information on the strand can be found here. THE SECOND COMING Tonight also sees Russell T Davies’ contemporary take on the story of Jesus at Carrs Lane Church. 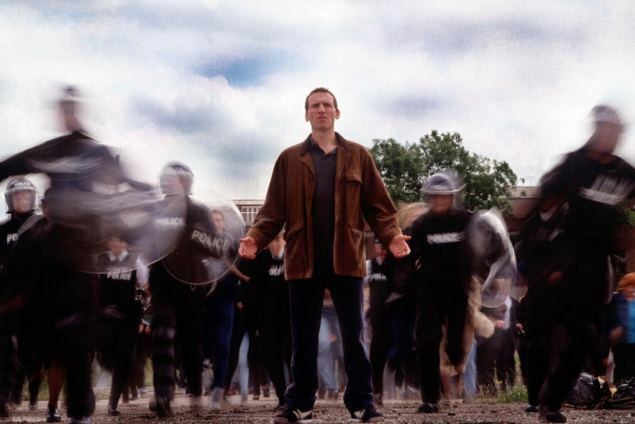 Staring Christopher Eccleston as Blockbusters employee Steve, he discovers his divinity outside a pub and then after forty days on Saddleworth Moor commandeers the Man City ground as his pulpit. MILLENNIUM POINT We’re looking forward being at Millennium Point later in the week too. We will be screening Kelly Reichardt’s NIGHT MOVES staring Dakota Fanning & Jesse Eisenberg and WE ARE THE BEST, a hymn to teenage friendships, punk and plotting your own path. On Friday evening we will be transforming the atrium for an immersive evening of music and film, culminating in a semi-horizontal screening of SILENT RUNNING. FLATPACK PALAIS Later in the week we move into this year’s Flatpack Palais located at Spotlight on Lower Trinity Street, just round the corner from the Custard Factory. We’ll be open from Friday to Sunday with hot food, tea and cake from Change Kitchen during the day. Pop in, find out more about the festival and see some films. 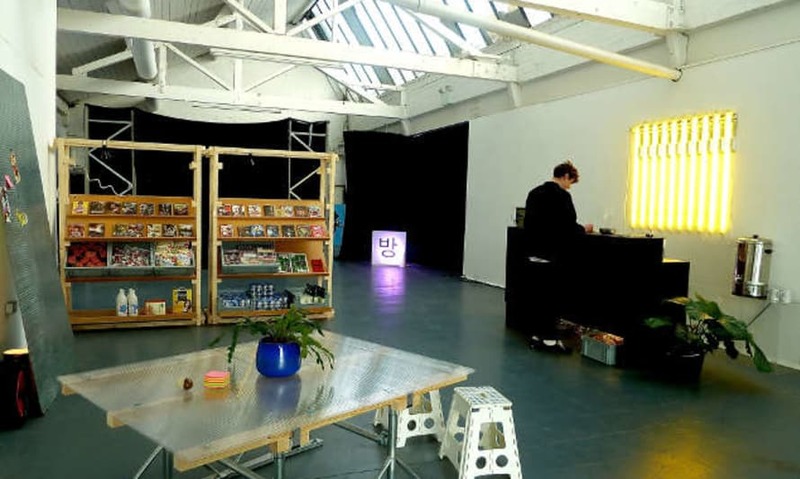 ERRATA Archive Innovation Lab takes place at the Bond on Saturday 29 March, not Friday as advertised in the brochure calendar. 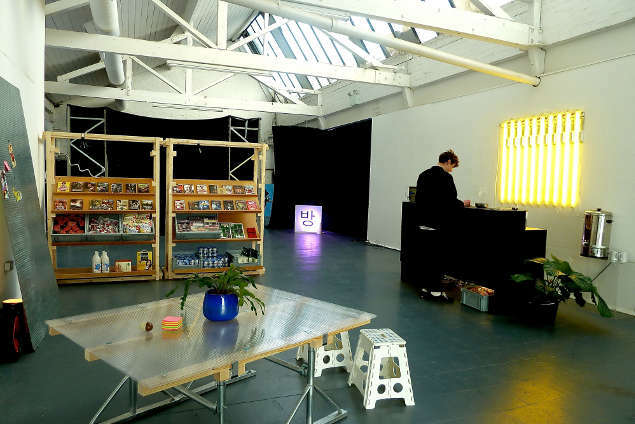 In the Soup on Friday 28 March is now free – a great excuse to pick up a meal from Digbeth Dining Club. For the most up to date news keep an eye on our twitter feed over the festival.